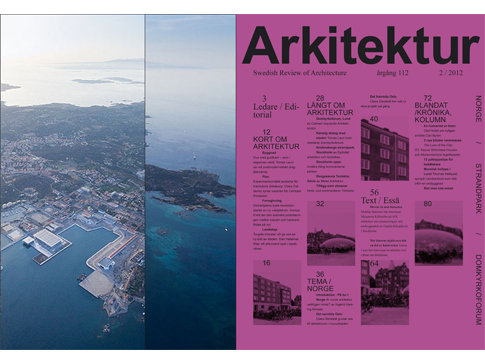 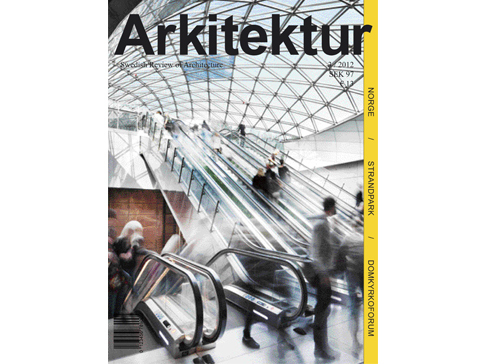 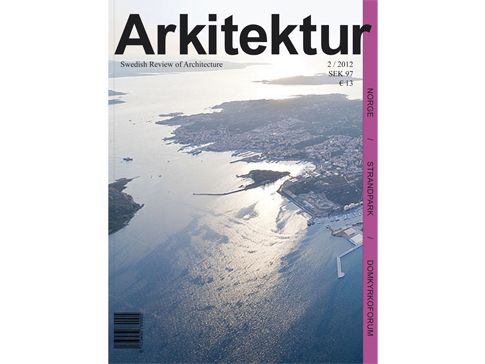 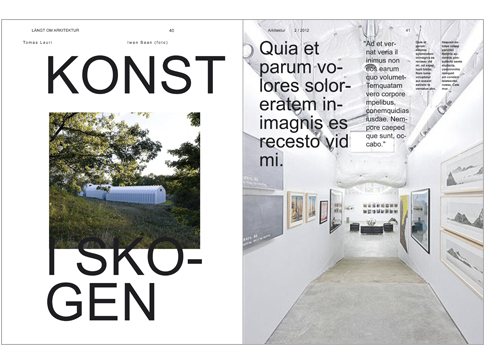 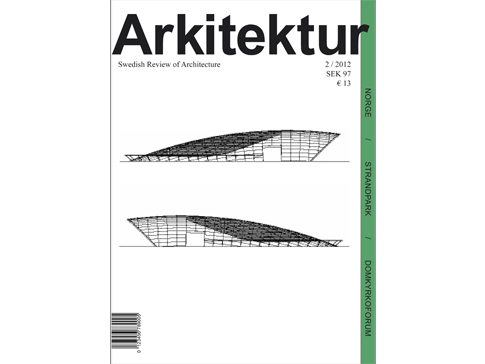 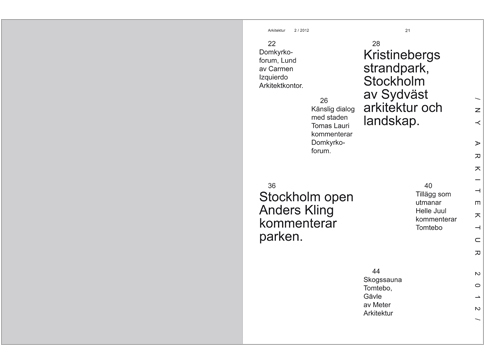 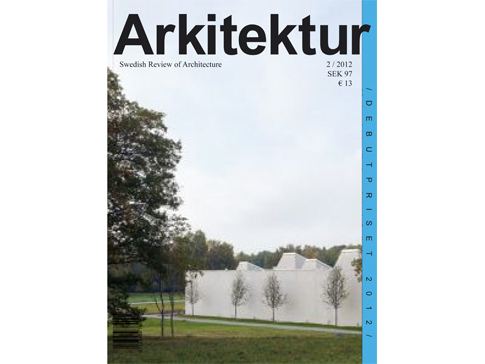 Proposal for re-design of the leading Swedish architectural journal Arkitektur. 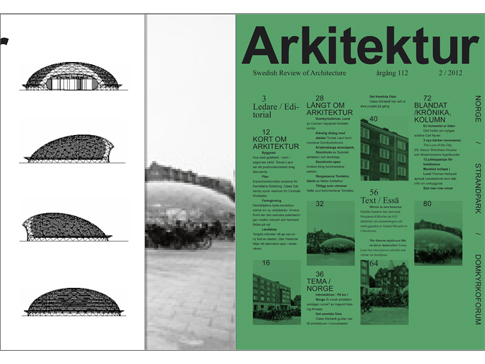 Shown here are some sketches explaining the main concept. 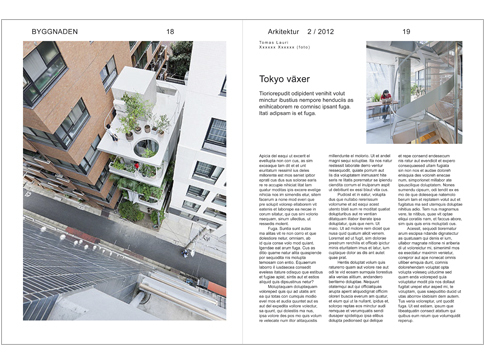 The breif asked for a more varied layout allowing for a more varied content to attract different target groups. 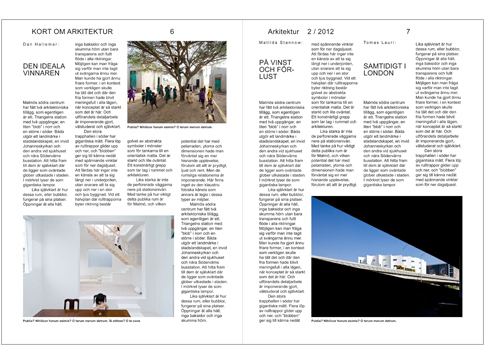 The new journal should have a feel of architecture and be something to keep and treasure. 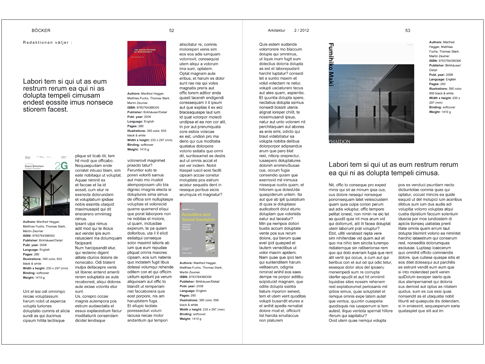 My proposal seeked out to turn the journal into more of an object and to achieve that with a change in materiality. 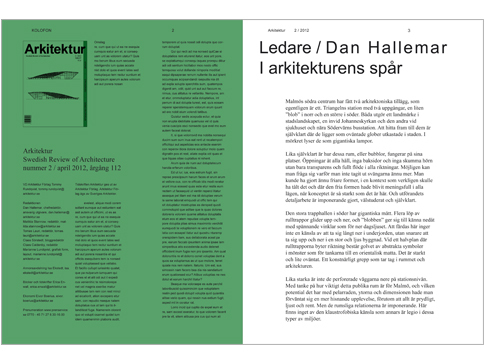 My suggestion was also to strengthen the voice of the journal by re-structuring the content and highlighting the index, the colophon and the editorial on the very first pages of the journal.